It's an intoxicating cocktail of equal parts nostalgia and pomposity sitting here on the expansive teak deck of the RV Katha Pandaw. It's taken me almost ten years of trying to get here to Burma and aboard one of the classic Pandaw vessels that revived a century-old tradition on the fabled Irrawaddy River. And now I'm feeling every bit the privileged sahib, G&T at hand, watching the little stilt villages pass by as the locals toil in the fields or bathe in the murky waters. 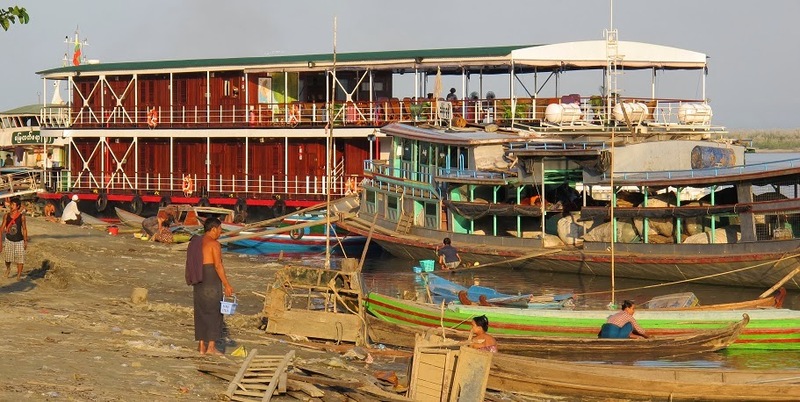 Driven by a keen sense of history, the Irrawaddy Flotilla Company, upon which the modern Pandaw fleet is styled, has been reborn thanks to Scottish historian and entrepreneur, Paul Strachan. Now about to launch the new fleet's 13th vessel, Strachan struck upon the idea when he found one of the old fleet's hulls languishing on a riverbank. He restored the vessel, which became Pandaw 47, and began a revival that continues to this day. Even now we see many other salvaged, Clyde-built hulls in use by local operators performing their original tasks of hauling a mix of freight and passengers to the many ports dotted along the length of both the Irrawaddy (which runs down from China to the NE) and the Chindwin (whose headwaters originate to India to the NW). All along our journey from Mandalay to Katha and beyond, we reminisce of literary giants like George Orwell who wrote his début novel here, of military campaigns under the command of General Slim which slowly overcame the invading Japanese in WWII and of the grand ancient kings who once ruled this land and left a legacy of thousands upon thousands of gold-topped stupas everywhere one looks. This particular itinerary is new to the Pandaw portfolio and explores north from the romantic hub of Mandalay as famously portrayed by Rudyard Kipling, past the remote outpost of Katha where Orwell set his Burmese Days, to the navigable extreme of Kyauk Pone near the town of Bhamo in Kachin state. Great jungle-clad cliffs reminiscent of the Yangtze Gorges tower above us, but instead of the Chinese concrete and steel, it's bamboo, teak, thatch and busy little canoes going about their daily routine. But just as the Yangtze has been irretrievably transformed by massive dams and earthworks, so too are such terraforming projects planned for the upper Irrawaddy. While not yet set in stone, let us pray that these devastating constructions can be thwarted by the public pressure welling against them. Can't you 'ear their paddles clunking from Rangoon to Mandalay? On the road to Mandalay, Where the flyin'-fishes play,"
The writer wishes to thank John Boyd from Pandaw Cruises and Active Travel for making this journey possible.